LaRae Quy was born and raised on a cattle ranch in Wyoming where she learned many of the survival skills she would need as an FBI agent. Even though LaRae had scored exceptionally high on cognitive and personality tests, she found herself in an environment that openly questioned her qualifications to become an agent. She refused to let others define her and used their criticism to fuel her determination. As an undercover and counterintelligence agent, LaRae exposed foreign spies and recruited them to work for the U.S. Government. She believed most barriers to success were internal and chose to continuously push through discomfort zones throughout her career. After twenty years as a field agent, LaRae became the spokesperson for the FBI in Northern California for four years. In this episode, LaRae shares insights you can use to develop mental toughness to survive in environments of risk and uncertainty. The same skills that allow FBI agents to land on their feet in crisis situations are the same ones you can use to cope with the unexpected in your own life, stay cool under pressure, and empower you to achieve your next level. LaRae defines mental toughness as “a way to manage your emotions, thoughts, and behavior in ways that set you up for success in both business and life.” She created a FREE assessment to show you how you rank in eight different areas and to pinpoint your strengths and weaknesses. You can find the assessment on her website: www.LaRaeQuy.com. She’s also written two books: “Secrets Of A Strong Mind” and “Mental Toughness For Women Leaders” which you can find at her bookstore. 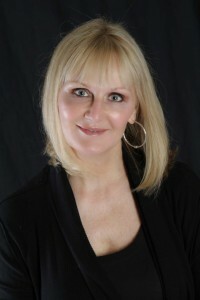 Be sure to connect with LaRae on Twitter @LaRaeQuy, LinkedIn and Instagram too. As for Facebook, her page is the Mental Toughness Center.